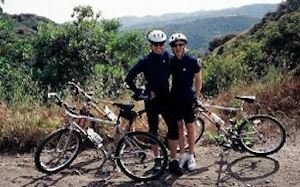 Upper Mandeville Canyon offers some of the best hiking and mountain biking in the Santa Monica Mountain Range. It encompasses tremendous biological diversity and a unique wildlife habitat. Warm days followed by cool nights are the norm. The many indigenous plants along the trails and in local gardens are visited by an abundance of birds, butterflies and wildlife. Many of our trails are dog friendly. Please don’t litter our natural preserve.